Natalie Bassingwaighte's, most commonly now known as Nat Bass, is one lady that has graced our screens for many years. Singer, Songwriter, Author, Actress, Television presenter, Humanitarian, Mother and now Childrenswear designer is one lady that puts her sights on something and makes it happen. Nat's edgy label Chi Khi is going from strength to strength with the recent launch of her 3rd collection 'Love 2 Layer. Chi Khi in its short time not only can be seen at your local coffee shop on the fashion conscious child its also hit abroad on the rich and famous! Nat took some time out to chat to me about motherhood, Chi Khi and her latest collection Love 2 Layer. I know myself as a mum and trying to juggle home, kids and a career how hard it is. From what I've seen you look to be hands on with your children and career, how do you juggle it all? The first year of Chi Khi, last year, it was crazy and we decided there had to be some changes and balance. I don't always get it right or smooth and I have been known to be crying in the corner! This year in our daily family life we set some boundaries like our mobile phones. We used to have them near us or on all the time but now business/work begins after school drop off. Then at night time the phone is off between 5-7pm which is usually dinner, bath, bed time. We also moved the TV out of our living area. We found that in the mornings when we woke the TV would go on and we would go into zomby world. Now instead we have music on, the children play, we all talk and its like a new groove in the house. Its great! I read that one of your main reasons Chi Khi came about was for your daughters sensitive skin. From that thought to it actually being on the shelves did it take long? It took about two years. Starting of Chi khi was also to see what I was capable of. I had no idea where to start. I loved fashion so I started to read books, googled and I just learnt along the way. I believe if you have an idea, a thought, passion and drive you make it happen. 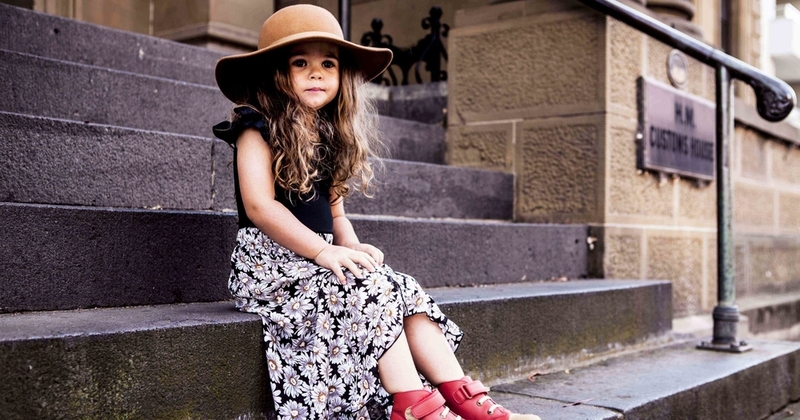 Speaking from experience scrolling through kids fashion regularly, Chi Khi is a stand out in design and style. Plus young well known celebrities are being spotted in Chi Khi around the globe. How does it make you feel and what do you think is the key to its success? I'm so proud, it out reached my expectations and still doing it! To see it on celebrities children, I mean who would of thought! I felt there was a gap in the market that was unisex, monochrome and urban. I wanted to fill that gap keeping the colour palette basic with staple pieces. 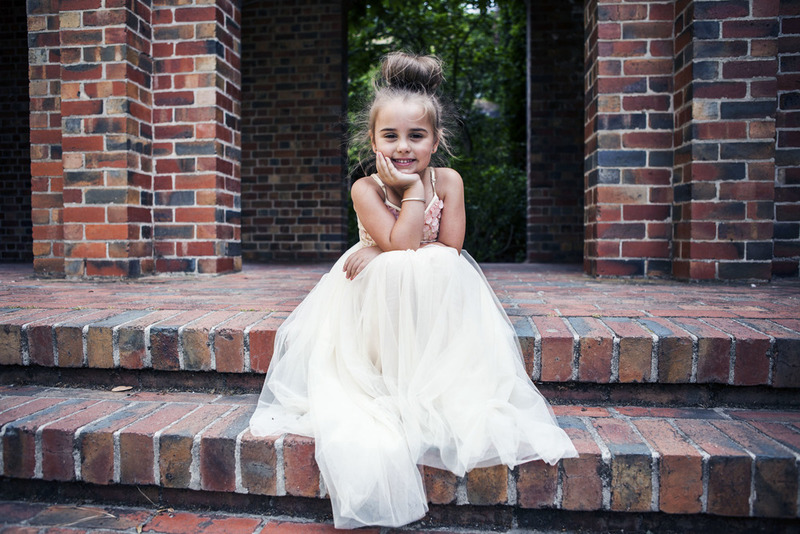 Chi Khi really caters for the mini fashionista's. It's on trend, cool, edgy and effortless to wear. Lets talk about your new AW16 range Love 2 Layer, its your third collection is that right? Yes it is. Autumn Winter is all about layering especially here in Melbourne hence the name. It's all about being able to layer looking good and feeling comfortable. Again staple colour palette and no clashing of prints making it easy to layer. All pieces are on trend for the season. The size range is now higher? Yes it is. We started off newborn to size 4 now we go up to a size 7. I had in mind to always grow the brand and I suppose as my children are growing so will Chi Khi. They keep me 100% inspired. So Nat what can we see in the future from Chi Khi? I'm really pumped, happy and excited! I would love to take Chi Khi world wide. Looking forward I would even love to see Chi Khi flagship stores. The future looks awesome!